Jeremy Drew – Resource Concepts, Inc. Since joining RCI in 2005, Mr. Drew has drawn on his unique combination of technical background, field experience, and communication skills to complete a variety of challenging natural resource projects. Prior to joining RCI, he was a seasonal employee and volunteer with the Nevada Division of Wildlife working throughout Nevada, and a summer intern with the Congressional Sportsmen’s Foundation in Washington DC. His unique combination of education and experience has afforded him the skills to effectively communicate and articulate from both technical and policy standpoints. He has served as Project Manager for some of RCI’s largest natural resource clients, including leadership roles in multi-disciplinary and collaborative Project Teams. In addition to his professional role with RCI, Mr. Drew has also been active with several non-profit organizations dealing with natural resource and wildlife policy and programs. Mr. Drew currently sits as a Governor appointed member of the Nevada Board of Wildlife Commissioners. Jeremy started at RCI right after college as it provided him an opportunity to combine two fields of interest (wildlife conservation and civil engineering). He stayed at RCI because of the great people, family atmosphere and ability to have a positive influence on Nevada’s natural resources and communities. 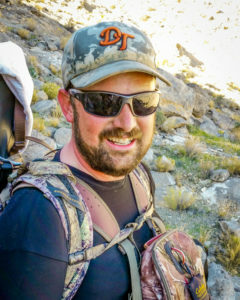 He enjoys hunting, fishing and enjoying the Nevada lifestyle with family and friends. His commitment to community involves serving 6 years, 2 as Chairman, on the Nevada Board of Wildlife Commissioners. During his tenure, the Nevada Board of Wildlife Commissioners was recognized as “Wildlife Commission of the Year” by the Western Association of Fish and Wildlife Agencies.